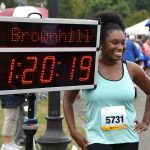 As you gear up for the 2018 Reebok Boston 10K for Women, you might already have a goal in mind – whether it’s a particular time, a new personal record (PR), or running your longest race yet. You might also not have a goal yet. We can help! 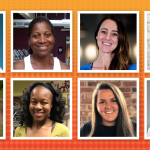 As we get into late August and September, you’ll be strengthening your body and cardiovascular system to handle longer distances with greater sustenance at moderate-to-hard effort levels. 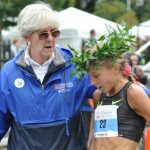 As we get closer to race day, your goal finishing time and the equivalent pace-per-mile should come into clearer focus. But the first step is finding a comfortable running pace and getting started. Here are some tips. A good rule of thumb to gauge effort while running is your ability to speak. At an easier pace, you should be able to have a conversation, while at a more moderate pace, you should only be able to speak in short phrases. At a hard pace – there’s no talking – only flying. Get familiar with these three levels. 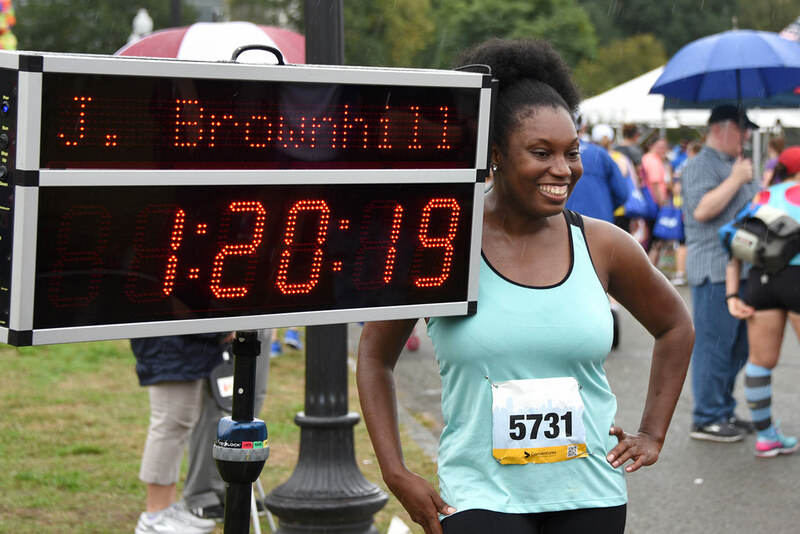 Whether this is your first 10K, or your first race, period, focus less on distances, but more on ‘time-on-feet’ at and easy effort level to start. Run for 5, 10, or 15 minutes, and see how you feel. If you want to rest for a few minutes and run for another 5, 10, or 15 – go for it. With each step, listen do your body. How do you feel? Are you smiling? With the completion of just one run, you’ll have learned much. If it’s been a while since your last 10K, you’ve learned which components of a training plan worked best, and which didn’t. You also know what your time was, and how you felt while racing. Matching your previous performance is a great goal to start with, but if it’s been a while, don’t expect to find that pace right away. As you increase the mileage, you’ll get there, and as race day draws closer, you can refine your focus on beating your previous time. Re-discover your easy, moderate, and hard levels of running – and don’t be afraid to flirt with the harder efforts, especially in your shorter ‘speed’ workouts. 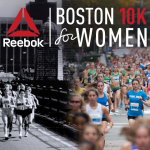 And remember, the Reebok Boston 10K for Women is run on a flat and fast course. You got this. Team up and look down! Running with friends, or a group on a regular basis is a great way to spice up your training and push yourself and each other with moderate and hard effort levels. If it’s not your first time on the course, you know the tangents and flat roads that can lead to a fast time. You also know your 5K PR and the pace-per-mile that got you there. You likely won’t be able to turn your 5K PR pace into your new 10K PR pace, but it’s a great marker to aim for. Work that 5K pace (hard effort) into your speed workouts, and run a segment or ‘tempo’ of your longer runs at that 5K pace. This effort will build your cardio threshold and make your 10K pace seem easier. And that is a great feeling. We don’t expect all of our runners to threaten the World Record, but we certainly hope to see some people cruising into PR territory on October 8. Let’s go!